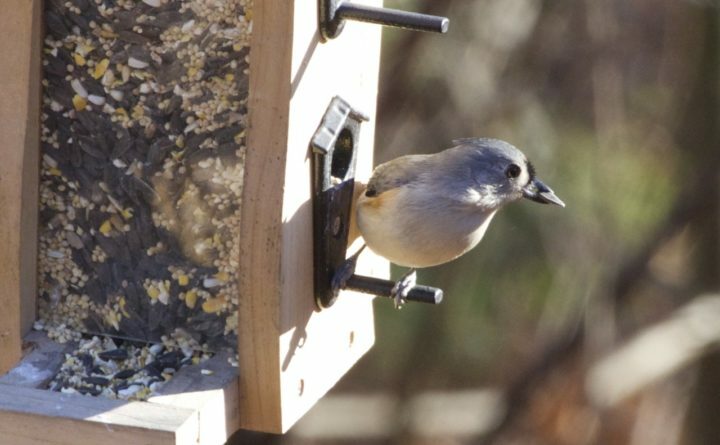 A tufted titmouse snags a seed from a bird feeder in Dedham. Good morning. Temperatures will be in the mid-20s to the high 30s from north to south with mostly sunny skies throughout the state. 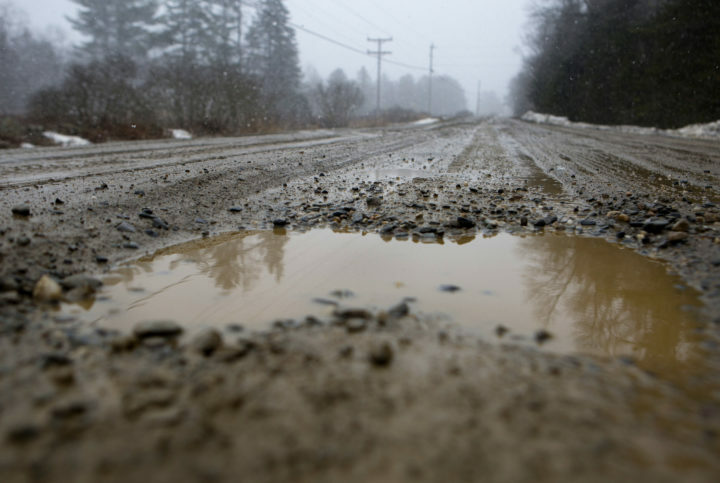 –Freedom Selectman Steve Bennett is no stranger to hearing complaints about the town’s dirt roads in mud season. This year, though, the roads have seemed muddier and tempers more frayed than usual. –The live bat was found in the vicinity of the Shaw House, the youth shelter located at Union and First streets in Bangor. Several people in the Bangor area handled the rabid bat with their bare hands last weekend, and public health authorities are seeking the public’s help in identifying those who might have handled it. They likely need rabies post-exposure shots. 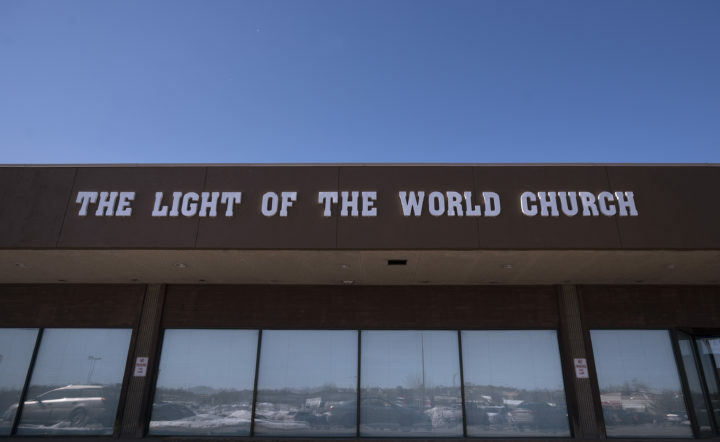 –The tiny congregation in Bangor gathers daily in a space previously occupied by a bank next to a Hannaford supermarket near the Bangor Mall. Followers of La Luz del Mundo are expected to pray multiple times a day and to attend a daily worship service with the congregation. Men and women sit in separate sections of churches, and only men preach and serve in the church hierarchy. –The 45-minute vigil was held at the Islamic Center of Maine in Orono. Members from two Bangor synagogues and the Peace and Justice Center of Eastern Maine, an Orono town councilor, and a dozen or so others expressed sympathy for and solidarity with Muslims who live, work and attend school in northern Maine. “What a terrible thing it is that this is what brings us together,” Mary-Anne Saxl of Bangor’s Congregation Beth El. 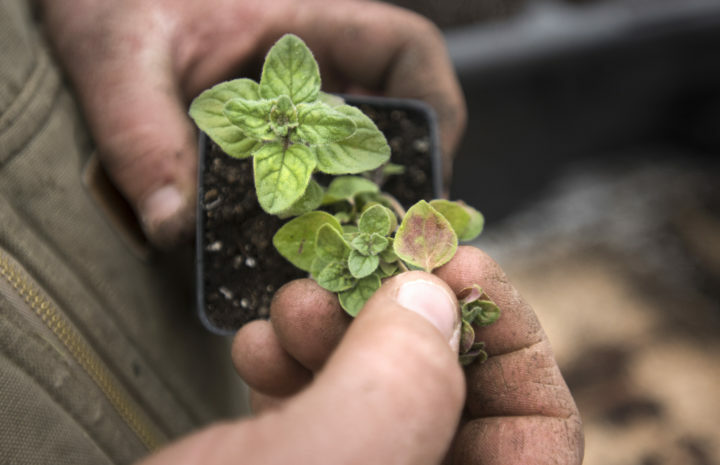 Jim Buckle points out frost damage on a seedling at his farm in Unity, May 9, 2016. –Certain cold-hardy plants can survive a light or moderate frost and prosper even if spring temperatures have not quite stabilized. These plants can thrive in cold soil temperatures, compared to their later season counterparts that need a warmer growing medium. –Based in Londonderry, New Hampshire, Complete Labor & Staffing plans to move into 81 Main St., filling a storefront that has been empty for the past year. The space has seen a number of different tenants over the years, including a number of retail stores and, from 2013 through early 2018, the Maine Holistic Center, a community wellness center. –Sugarhouses around the state opened to the public over the weekend to sample myriad maple products, including syrup, popcorn, whoopie pies and ice cream.